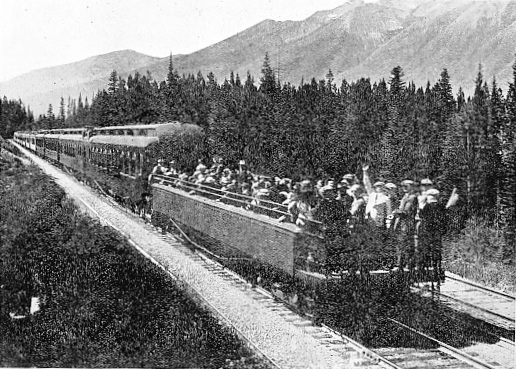 ON the railways America it is a favourite practice, on the chief expresses, to make the last coach at the back of the train an “observation car”. It is provided with windows all round the rear end, so that the fortunate people inside have a practically uninterrupted view of the scenery along the line, mile after mile, as the train hurries along and leaves it behind. At the back of the car is an open platform, and there is a good deal of competition, in fine and warm weather, for the seats in this jolly position. On the long Canadian Pacific journey across the Rocky Mountains, for hour after hour the train passes slowly through the most magnificent scenery. 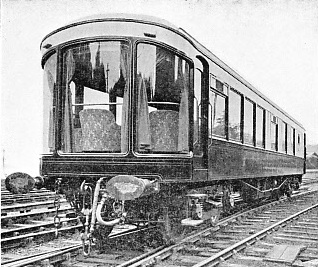 So that the passengers may enjoy this to the full, the large open car has been built that you see in the last picture. 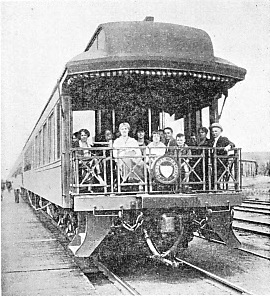 This will accommodate quite a large proportion of the passengers on the train, instead of just the favoured few who can get into the observation car proper; and in the middle of the summer it is clear that there is no lack of people anxious to travel in this open-air fashion. 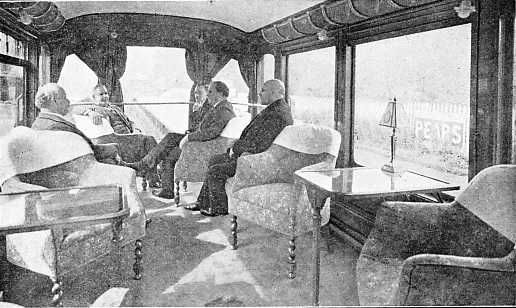 Not much has been done in this country by way of building observation cars, although there are a few in use. Of these the finest is undoubtedly the beautiful Pullman car, “Maid of Morven”, which is run by the London, Midland and Scottish Railway during the summer from Glasgow to Oban, in the West Highlands of Scotland. The passengers sit in the big bow window at the back, and enjoy from Callander to Oban an unbroken panorama of one of the loveliest successions of mountain and valley, moorland, loch and sea that could be found anywhere in our country. It is a trip that, once made, you are never likely to forget. You can read more on “Cruising by Train” and “Scottish Mountain Railways” on this website.